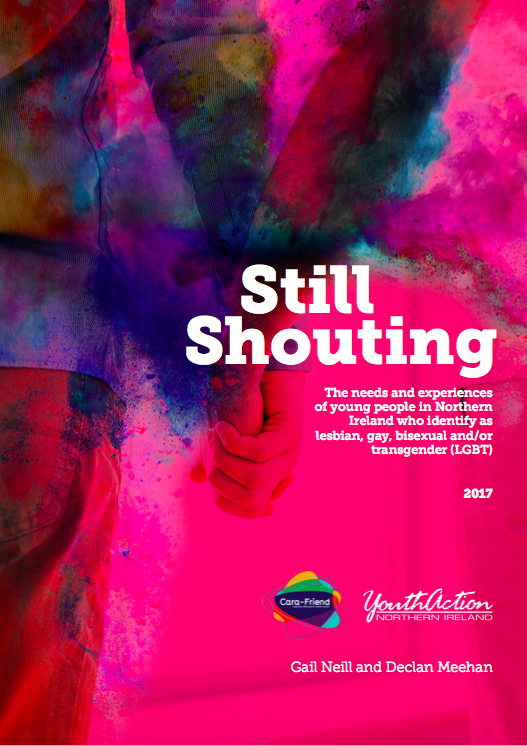 Still Shouting was published in December 2017 by Cara-Friend and Youth Action Northern Ireland. 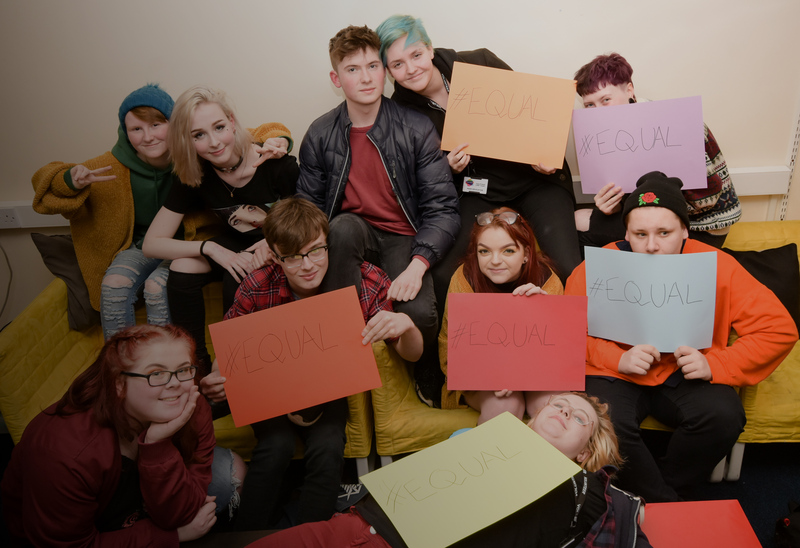 The report explores the lived experiences of LGBTQ+ young people in Northern Ireland, including in school and youth clubs. As well as exploring instances of inclusion and exclusion, it examines the impact these experiences have on the mental health of LGBTQ+ young people. The report is based on a survey completed by 260 LGBTQ+ young people aged 12-25, all resident in Northern Ireland. Still Shouting was funded by the Education Authority of Northern Ireland.